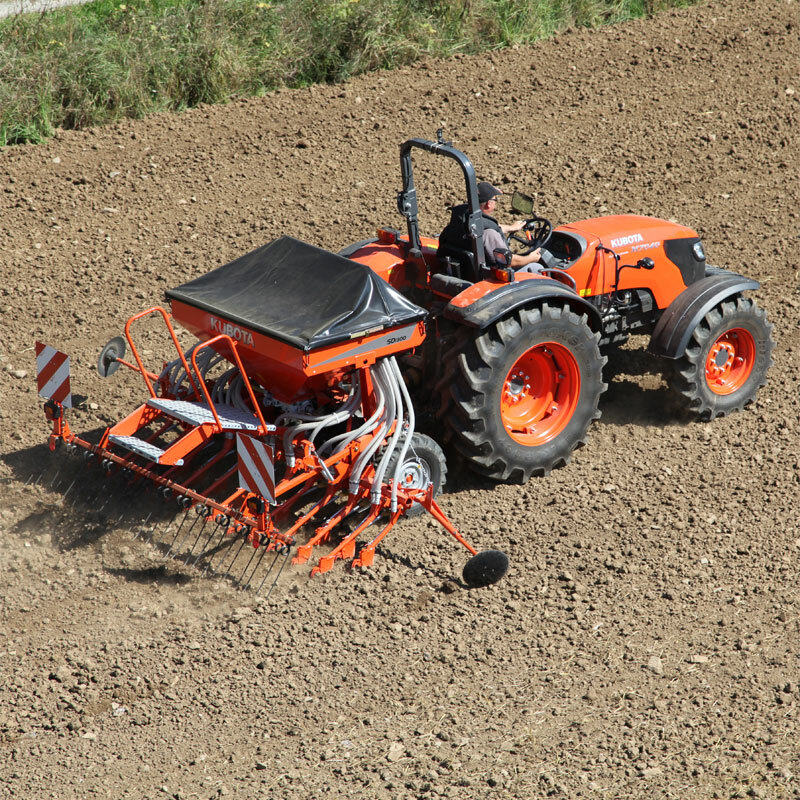 The Kubota SD1000 is the ideal machine for small and medium-sized farms. The SD1000 combines a compact and light design. Working widths from 3.0 to 4.5 m are available. The power requirement is from as little as 55 kW due to the SD1000’s close centre of gravity. The wheels of the SD1000 series, whether fitted with standard or floatation tyres, run in the track ensuring constant ground contact. 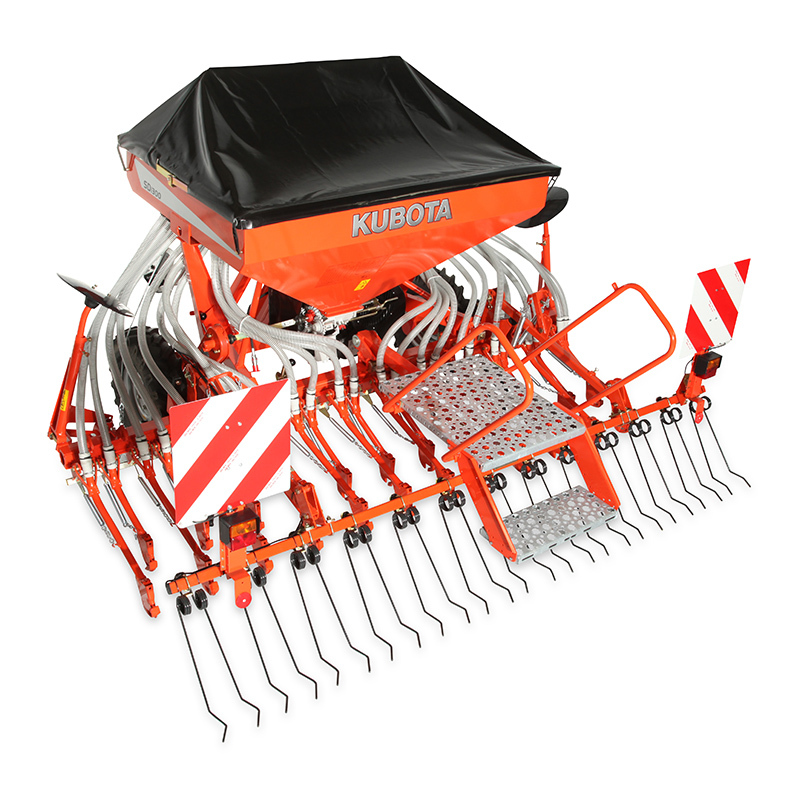 They can be easily adjusted to suit any track width from 1.65 to 2.10 m.
The hopper of the SD1000 models a low filing height and offers a capacity of 750 litres which can be extended to 1000 litres. For electronic control the FGS, Signus and IsoMatch Tellus are optional available. Machines over 3.0m working width have toolbars which can be easily folded by hand for road transport.